SILVER SPRING, Md., Dec. 28, 2017 /PRNewswire-USNewswire/ — Today, the U.S. Food and Drug Administration permitted the marketing of the Dermapace System, the first shock wave device intended to treat diabetic foot ulcers. NEW YORK, Dec. 28, 2017 /PRNewswire/ — The Global Shoulder Arthroplasty Market was valued at $ 1,090.0 million in 2016, and is expected to reach $ 1,866.3 million by 2023, registering a CAGR of 8.1% during the forecast period. The growth of the global shoulder arthroplasty market is driven due to factors such as increasing incidences of arthritis-associated disorders such as osteoarthritis and rheumatoid arthritis, and growing geriatric population. Also, significant adoption of reverse shoulder arthroplasty by surgeons and growing sports-related injuries have further contributed to the growth of the market. Nevertheless, postoperative complications associated with shoulder arthroplasties and the cost associated with the shoulder arthroplasty devices is the factors that would limit the growth of the market. The shoulder arthroplasty market is segmented based on procedures, devices, indications, end users, and regions. 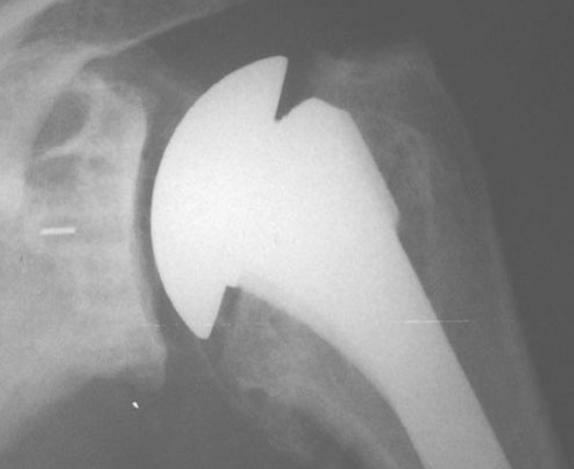 Based on procedures, the market is segmented into partial shoulder arthroplasty, total shoulder arthroplasty, and revision shoulder arthroplasty. Based on devices, the market is segmented into shoulder arthroplasty resurfacing implants, shoulder arthroplasty trauma devices, and shoulder arthroplasty platform systems. Based on indications, the market is segmented into arthritis, fracture/dislocation, rotator cuff tear arthropathy, Hill Sachs defect, and others. Based on end users, the market is segmented into hospitals & clinics and outpatient surgical centers. Based on geography, the market is segmented into North America, Europe, Asia-Pacific, and LAMEA. The market research report covers the analysis of key stake holders of the leading market participants are Integra LifeSciences Corporation, DJO Global, Zimmer Biomet, Wright Medical Group, Inc. /Tornier Inc., Johnson & Johnson (DePuy Synthes), Smith and Nephew Plc, Arthrex, Inc., Conmed Corporation, Evolutis, and Exactech, Inc. 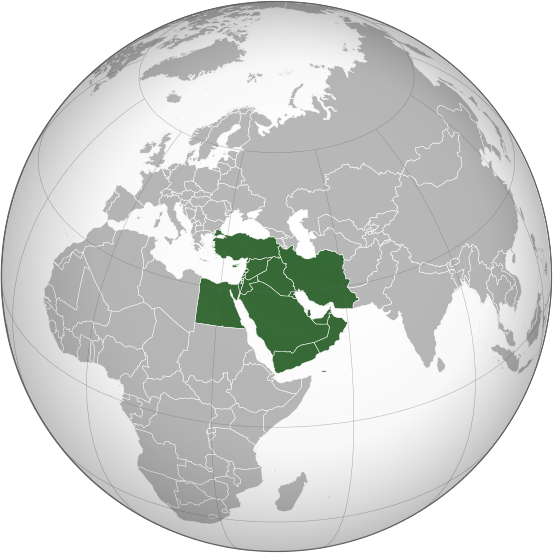 The “Middle East Medical Device Market by Product (In Vitro Diagnostics (IVD), Cardiology, Orthopedics), by FDA classification (Class I, II, III), by End-user, by Region and Segment Forecasts, 2014 – 2025” report has been added to Research and Markets’ offering. The Middle East medical devices market is expected to reach USD 31.6 billion by 2025. This growth is anticipated to be a result of increasing geriatric population, and increasing incidences of conventional diseases such as diabetes and obesity. Other major drivers include technological innovations and increasing demand and acceptance of such technologies in Middle Eastern countries majorly in UAE, Saudi Arabia and Qatar. Few of the industry players for the Middle East medical devices market include Medtronic, Johnson & Johnson, Siemens, Roche, Becton Dickinson and Abbott Laboratories. DUBLIN–(BUSINESS WIRE)–The “Global Artificial Joints Market 2017-2021” report has been added to Research and Markets’offering. The global artificial joints market is expected to grow at a CAGR of 5.53% during the period 2017-2021. The report, Global Artificial Joints Market 2017-2021, has been prepared based on an in-depth market analysis with inputs from industry experts. The report covers the market landscape and its growth prospects over the coming years. The report also includes a discussion of the key vendors operating in this market. One trend in the market is increasing demand for MI surgeries. The demand for MI surgeries has been increasing across the world. MI surgeries reduce physical trauma and the risk of infections. 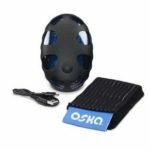 This enables patients to recover faster. MI surgeries involve short hospital stay, improve comfort, and enable the early return to work. According to the report, one driver in the market is increasing incidence of age-related musculoskeletal disorders. Musculoskeletal disorders have been the most common disorder that affects the aging population. The most frequent musculoskeletal disorders among the aging population have been osteoporosis, osteoarthritis, fractures, and infections. With aging, musculoskeletal tissues become fragile, loose cartilage resilience, have reduced ligament elasticity, and loose of muscular strength, which reduce the ability of tissues to perform normal functions. 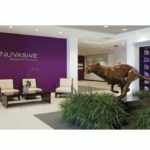 BEDFORD, Mass.–(BUSINESS WIRE)–Anika Therapeutics, Inc. (NASDAQ: ANIK), a global, integrated orthopedic medicines company specializing in therapeutics based on its proprietary hyaluronic acid (“HA”) technology, today announced that its HA-based bone void filler received 510(k) clearance from the U.S. Food and Drug Administration (FDA) and is indicated for filling bone voids or defects of the skeletal system (i.e. extremities and pelvis), which are not intrinsic to the stability of the bone, created during surgery or resulting from traumatic injury. The bone void filler, which is composed of a synthetic, biocompatible bone graft substitute material, is injected into a void, hardens at body temperature, and is then resorbed and replaced by the growth of new bone during the healing process. Over one million musculoskeletal procedures performed in the U.S. involve bone void filling, also known as bone grafting,, and such procedures are most commonly required for spinal fusion, trauma, and revision total joint replacement procedures. We estimate the current market size for treating tibial plateau fractures, stress fractures around joints, and decompression of necrosed bone to be around $300 million. While the use of autologous bone or autograft has been the gold standard of treatment for bone grafting, the increased risk of procedural complications has prompted a shift towards alternate treatments1, such as synthetic, resorbable bone graft substitute materials. According to Dr. John Tierney, D.O., an orthopedic surgeon affiliated with New England Baptist Hospital, who has worked with our bone repair treatment: “Anika’s 510(k) clearance allows for the marketing of one of only a handful of bone graft substitutes that can be administered in a minimally invasive manner. It offers physicians an additional option for treating bone defects or injuries, without the need for expensive and high risk surgeries, while also reducing the operating room time spent on each case.” This positive physician feedback enhances our excitement about bringing this much-needed treatment to patients in the U.S.
Anika’s bone repair treatment is an injectable, HA-based, settable osteoconductive calcium phosphate bone graft substitute material, and is indicated for filling bone voids or defects of the skeletal system (i.e., extremities and pelvis) that are not intrinsic to the stability of bone structure. It is provided in a kit with two components (an aqueous solution in a pre-loaded syringe and a dry powder) that must be mixed, intra-operatively using the supplied mixing system, to form a cohesive paste, prior to administration. Anika’s bone void filler is provided sterile for single use in volumes ranging from 1.5cc to 4cc. The statements made in the last sentence of the second paragraph and the last sentence of the third paragraph of this press release, which are not statements of historical fact, are forward-looking statements within the meaning of Section 27A of the Securities Act of 1933, as amended, and Section 21E of the Securities Exchange Act of 1934, as amended. These statements include, but are not limited to, those relating to the potential market for, and revenue growth opportunity for the Company associated with, this product. These statements are based upon the current beliefs and expectations of the Company’s management and are subject to significant risks, uncertainties, and other factors. The Company’s actual results could differ materially from any anticipated future results, performance, or achievements described in the forward-looking statements as a result of a number of factors including, but not limited to, (i) the Company’s ability to successfully commence and/or complete clinical trials of its products on a timely basis or at all; (ii) the Company’s ability to obtain pre-clinical or clinical data to support domestic and international pre-market approval applications, 510(k) applications, or new drug applications, or to timely file and receive FDA or other regulatory approvals or clearances of its products; (iii) that such approvals will not be obtained in a timely manner or without the need for additional clinical trials, other testing or regulatory submissions, as applicable; (iv) the Company’s research and product development efforts and their relative success, including whether we have any meaningful sales of any new products resulting from such efforts; (v) the cost effectiveness and efficiency of the Company’s clinical studies, manufacturing operations, and production planning; (vi) the strength of the economies in which the Company operates or will be operating, as well as the political stability of any of those geographic areas; (vii) future determinations by the Company to allocate resources to products and in directions not presently contemplated; (viii) the Company’s ability to successfully commercialize its products, in the U.S. and abroad; (ix) the Company’s ability to provide an adequate and timely supply of its products to its customers; and (x) the Company’s ability to achieve its growth targets. Additional factors and risks are described in the Company’s periodic reports filed with the Securities and Exchange Commission, and they are available on the SEC’s website at www.sec.gov. Forward-looking statements are made based on information available to the Company on the date of this press release, and the Company assumes no obligation to update the information contained in this press release. WARSAW, Ind., Dec. 22, 2017 /PRNewswire/ — Zimmer Biomet Holdings, Inc. (NYSE and SIX: ZBH), a global leader in musculoskeletal healthcare, today announced the publication of positive results from a pilot study demonstrating the safety and promising efficacy of the nSTRIDE® Autologous Protein Solution (APS) Kit for the treatment of knee osteoarthritis (OA). 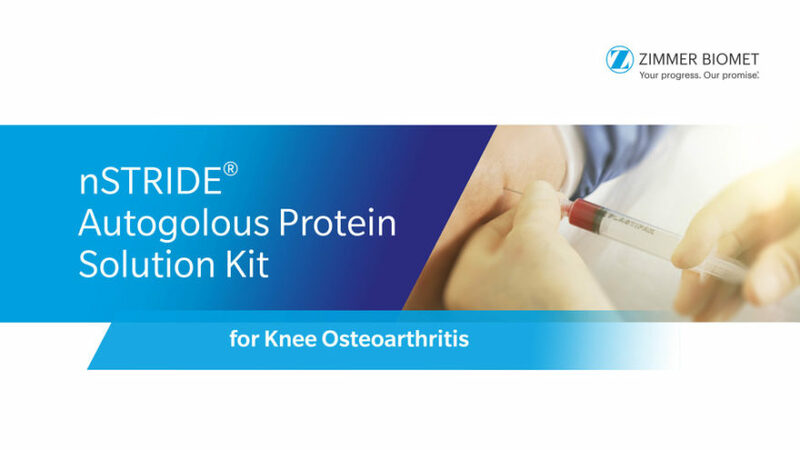 In the trial, known as PROGRESS II, investigators prepared APS by using Zimmer Biomet’s nSTRIDE APS Kit, which concentrates anti-inflammatory cytokines and growth factors from a sample of the patient’s own blood, for delivery via a single intra-articular injection into the knee joint. The results, which appeared in The American Journal of Sports Medicine1, show significant improvement in the percentage change from baseline in pain scores measured by the Western Ontario and McMaster Universities Osteoarthritis Index (WOMAC), as well as comparable safety to saline. OA, the most common type of arthritis, is a progressive disease of the joints. Often referred to as “wear and tear” arthritis, OA occurs when the top layer of cartilage, the slippery tissue that covers the ends of bones in a joint and helps absorb the shock of movement, breaks down and wears away. The bones under the cartilage then rub together, causing pain, swelling and loss of motion in that joint. Eventually, the joint may lose its normal shape and/or develop bone spurs around its edges. The PROGRESS II trial was a prospective, randomized, double-blind, saline-controlled pilot study that enrolled 46 patients with unilateral, mild-to-moderate, symptomatic knee OA pain from the four trial sites across Europe. Patients were randomized to receive either a single injection of APS prepared by the nSTRIDE APS Kit (n=31), or a single saline injection (n=15). Patient-reported outcomes and adverse events were assessed at two weeks, and at one, three, six and 12 months post-injection. Clinical effectiveness was measured using the Visual Analog Scale (VAS), the WOMAC, and the Knee Injury and Osteoarthritis Outcome Score (KOOS). X-ray and magnetic resonance imaging (MRI) evaluations were taken at baseline, as well as three and 12 months following treatment. A 65 percent change in WOMAC pain score from baseline to 12 months compared to a 41 percent change in the saline group (p = 0.02). A 49 percent improvement in VAS pain scores compared to a 13 percent improvement in the saline group (p = 0.06). No procedure- or device-related serious adverse events, and comparable frequency, severity and relatedness of adverse events as compared to the saline group. The nSTRIDE APS Kit is not commercially available in the United States but is currently marketed in Europe, via CE Mark, and in Japan, where it is marketed as the APS Kit. Results from the PROGRESS II study formed the basis for two additional confirmatory trials: the PROGRESS IV trial (NCT02905240), which received Investigational Device Exemption (IDE) approval from the U.S. Food and Drug Administration (FDA) in July 2016 and is currently enrolling patients, and the PROGRESS V trial (NCT03182374), which is underway in Europe to support global reimbursement efforts. The nSTRIDE APS Kit is currently under clinical evaluation in the United States. It holds a CE Mark in Europe and is approved in Japan as the APS Kit. The device produces an anti-inflammatory-rich cellular solution from a patient’s own blood. The output of the nSTRIDE APS Kit contains white blood cells and their corresponding anti-inflammatory cytokines in concentrations much higher than that of whole blood, in addition to anabolic cytokines that may promote cartilage health.2 These anti-inflammatory cytokines target and inhibit the pro-inflammatory and catabolic cytokines Interleukin-1 (IL-1) and Tumor Necrosis Factor Alpha (TNFα). Zimmer Biomet currently licenses the nSTRIDE APS technology to Owl Manor Veterinary, a privately held medical device company dedicated to joint preservation, tendon and ligament treatment, and advanced wound care treatment of equine and canine companion animals, under the brand name Pro-Stride Injection™. For more information, please visit http://www.omveterinary.com/. 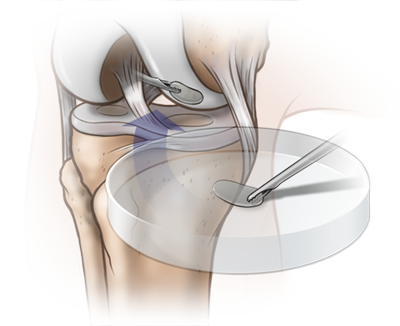 Kon E, Engebretsen L, Verdonk P, Nehrer S, Filardo G Clinical outcomes of an autologous protein solution injection for knee osteoarthritis: a 1-year pilot double-blinded randomized controlled trial. Published in The American Journal of Sports Medicine, October 2017 [Epub ahead of print]. O’Shaughnessey K, Matuska A, Hoeppner J, et al. Autologous protein solution prepared from the blood of osteoarthritic patients contains an enhanced profile of anti-inflammatory cytokines and anabolic growth factors. J Orthop Res 2014;32(10):1349-55. 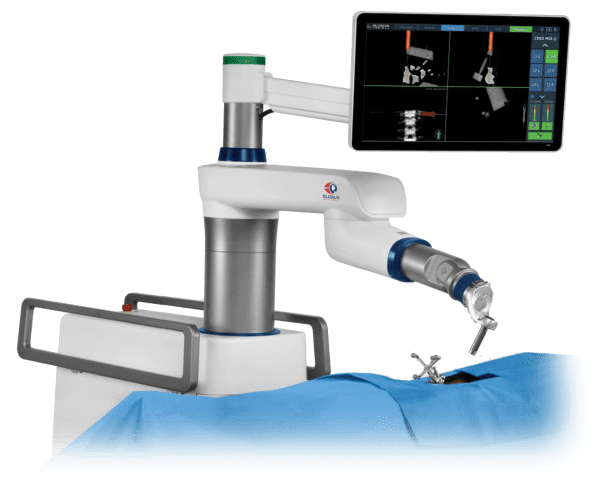 HARTFORD, Conn., Dec. 22, 2017 /PRNewswire/ — Hartford HealthCare (HHC) has pioneered a new, advanced technology at The Hospital of Central Connecticut, which is the first hospital in all of New England to use the new Globus ExcelsiusGPS™, a sophisticated surgical guidance system for spine procedures. The new technology also will soon be available at Backus Hospital. The ExcelsiusGPS™ brings an even greater level of precision to surgeons performing spine surgery and the patients they serve. The ExcelsiusGPS™ system is the first robotic assisted navigation system that is used by surgeons during the procedure, in real time. It is designed specifically to make surgery safer, and help surgeons ensure implants and hardware placement is even more precise. The technology also enables minimally invasive spine procedures which are often linked to less blood loss, less muscle damage, and a faster recovery. Hartford HealthCare is a leader in robotic-assisted surgery, with an extensive surgical robotics program, which is aimed at improving patient outcomes and improving the quality of care. Hartford HealthCare has been using the da Vinci® Surgical System for several years, combining the latest in minimally invasive surgical and robotics technologies to perform successful complex as well as routine surgeries. In March, Hartford HealthCare became the first healthcare system in the state of Connecticut and throughout the Northeast to debut Mazor X robotic-assisted surgical guidance system. 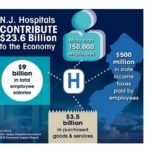 About Hartford HealthCare. Hartford HealthCare is Connecticut’s most comprehensive health care network. Our fully integrated health system includes a tertiary-care teaching hospital, an acute-care community teaching hospital, an acute-care hospital and trauma center, two community hospitals, the state’s most extensive behavioral health services network, a large primary care physician practice group, a regional home care system, an array of senior care services, a coordinated cancer institute with five cancer centers, and a large physical therapy rehabilitation network. Visit us at www.hartfordhealthcare.org. 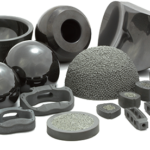 NEW YORK, Dec. 22, 2017 /PRNewswire/ — Centinel Spine, LLC (CS) is pleased to announce the acquisition of the worldwide assets of the prodisc® Total Disc Replacement portfolio from DePuy Synthes Products, Inc. The prodisc line of products are total disc replacement (TDR) products with the longest history of use globally. The prodisc® portfolio includes prodisc® C and prodisc® L in the United States and prodisc® VIVO, prodisc® NOVA, prodisc® C, prodisc® L, and prodisc® O, along with DISCOVER™ Cervical outside the United States. This acquisition complements Centinel Spine’s existing spinal implant portfolio of leading technologies for anterior column support of the spine from cervical to lumbar. This includes the company’s standalone portfolio of STALIF C®, STALIF C-Ti™, MIDLINE II™, MIDLINE II-Ti™, and STALIF L™, as well as additional products ACTILIF™ Cervical Cage TRANSOM™ Plate, and ALTOS® PCT. Centinel Spine, the pioneer of the No-Profile®, Integrated Interbody™ has a 30 year history of developing integrated interbody devices into a standard treatment for patients with degenerated disc disease. 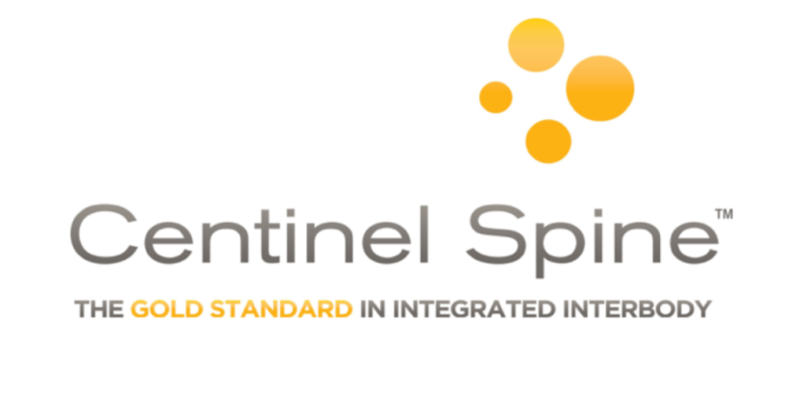 Centinel Spine will utilize the same clinical, regulatory, and development expertise to broaden acceptance and to increase carrier coverage and surgeon adoption of total discs worldwide. “This transaction is the next step in the evolution of Centinel Spine executing on its mission to become the worldwide leading company addressing spinal disease through anterior access to the spine with the widest breadth and depth of technology platforms,” said John J. Viscogliosi, Centinel Spine Chairman & CEO. Centinel Spine, LLC. is a privately-held spinal device company leading the development and commercialization of the No- Profile, Integrated Interbody fusion technologies. For more information on Centinel Spine products and technologies, please visit the Company’s web site at www.CentinelSpine.com. ENGLEWOOD, Colo., Dec. 22, 2017 /PRNewswire/ — Since its inception, Paragon 28® has obsessed over every aspect of foot and ankle surgery. 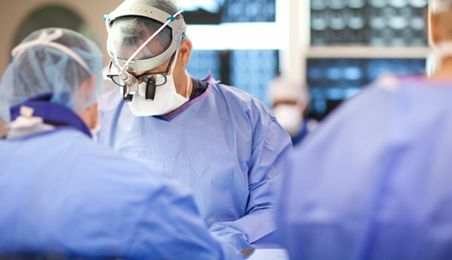 Committed to creating tailored solutions to improve surgical outcomes, Paragon 28® has launched innovative products and instrumentation that help to streamline procedures, allow surgeons flexibility in technique and approach, and facilitate reproducible results benefitting both the surgeon and patient. The Gorilla® Lateral Column Plating System was developed to offer surgeons a dedicated plating system designed to aid in the stabilization, fusion and fixation of the lateral column. This construct allows for strength, stability and compression throughout the lateral column which can help address certain cases of Charcot reconstruction where plantar subluxation of the cuboid may result in ulceration. This plate and screw construct consists of a dorsal plate placed on the 4th metatarsal, 5th metatarsal and cuboid that can accept a 5.5 mm Type II Anodized, non-locking, solid plate screw. This screw interfaces with the plate and is intended to span from the space between the 4th and 5th metatarsals, through the cuboid and into the posterior aspect of the calcaneus. The Gorilla® Lateral Column Plating System contains system specific instrumentation to help facilitate insertion of the 5.5 mm solid plate screw as well as a unique templating system. This templating system not only aids in determining the correct size and location of the plate, but more importantly aids in the creation of a reamed space in a specific location between the 4th and 5th metatarsals. A Joint Finding Paddle is included and is intended to center the template allowing for equal reaming of the 4th and 5th metatarsals to allow room for the 5.5 mm solid plate screw to be placed and achieve optimal screw trajectory. This addition to the Gorilla® R3CON Plating System family leverages all the benefits of the Gorilla System including the ability for all of the standard plate holes to accept either 2.7 mm, 3.5 mm or 4.2 mm locking and non-locking plate screws as well as a robust assortment of foot and ankle specific instrumentation. Paragon 28® is grateful for the significant contributions Dr. Douglas Blacklidge, DPM has made as the surgeon designer of this system. 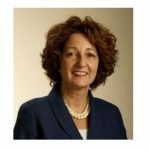 WALTHAM, Mass., Dec. 21, 2017 (GLOBE NEWSWIRE) — Histogenics Corporation (Histogenics) (Nasdaq:HSGX), a leader in the development of restorative cell therapies that may offer rapid-onset pain relief and restored function, announced that it has entered into an agreement with MEDINET Co., Ltd. (MEDINET), a pioneering leader in the development and commercialization of cancer immuno-cell therapy technologies, for the development and commercialization of NeoCart® for the Japanese market. A 30-patient, one-year confirmatory clinical trial in Japanese patients, comparing NeoCart to microfracture, would be sufficient for applying for full Marketing and Manufacturing Authorization in Japan in conjunction with data from Histogenics’ fully enrolled U.S. Phase 3 clinical trial. NeoCart would be regulated as a Regenerative Medical Product, as covered by the recently enacted laws in Japan, and Histogenics can supply the confirmatory clinical trial from the U.S. using the current good manufacturing process (cGMP) for NeoCart. “I am excited about the potential to bring this exciting therapy to Japanese patients and physicians through this new partnership,” stated Dr. Shuichi Mizuno, Ph.D., a scientific founder of NeoCart, Assistant Professor, Orthopedic Surgery, Brigham and Women’s Hospital, and Harvard Medical School, in whose laboratory the underlying technology for NeoCart was discovered. The Japanese cartilage repair market is estimated to be the second largest market in the world after the U.S. and it is estimated that there may be at least 10,000 NeoCart treatments per year. If left untreated, cartilage defects may result in Osteoarthritis (OA) and ultimately, total knee replacements. Market forecasts predict that the number of OA patients in Japan aged 40 and older amounts to more than 25 million and is expected to accelerate as the population ages. Approximately 60% of patients with knee cartilage defects are either not treated, or treated solely for temporary pain relief. Approximately 60-70% of patients with knee cartilage defects that are left untreated will likely progress to OA in the knee. Cartilage defects are believed to have caused OA in 15-20% of patients suffering from knee OA. More than 85% of orthopedic surgeons are not satisfied with the current options to treat knee cartilage defects. Approximately 80% of orthopedic surgeons consider early improvement in pain and function to be important and more than half of the surgeons feel they would prescribe NeoCart based on published data. Locust Walk served as transaction advisor to Histogenics. Histogenics’ management will host a conference call on Thursday, December 21, 2017 at 9:00 a.m. ET. A question-and-answer session will follow Histogenics’ remarks. To participate on the live call, please dial 877-930-8064 (domestic) or 253-336-8040 (international) and provide the conference ID: 5982636 five to ten minutes before the start of the call. A live audio webcast of the presentation will be available via the “Investor Relations” page of the Histogenics website, www.histogenics.com, or by clicking here. A replay of the webcast will be archived on Histogenics’ website for approximately 45 days following the presentation. Histogenics (Nasdaq:HSGX) is a leader in the development of restorative cell therapies that may offer rapid-onset pain relief and restored function. Histogenics’ lead investigational product, NeoCart, is designed to rebuild a patient’s own knee cartilage to treat pain at the source and potentially prevent a patient’s progression to osteoarthritis. 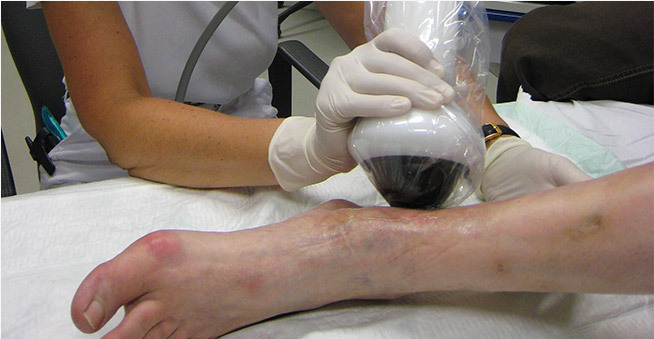 NeoCart is one of the most rigorously studied restorative cell therapies for orthopedic use. Histogenics recently completed enrollment of its NeoCart Phase 3 clinical trial and expects to report top-line, one-year superiority data in the third quarter of 2018. NeoCart is designed to perform like articular hyaline cartilage at the time of treatment, and as a result, may provide patients with more rapid pain relief and accelerated recovery as compared to the current standard of care. Histogenics’ technology platform has the potential to be used for a broad range of additional restorative cell therapy indications. For more information on Histogenics and NeoCart, please visit www.histogenics.com. MEDINET is a pioneering leader in the development and commercialization of cancer immuno-cell therapies. MEDINET is also rigorously preparing to enter into the regenerative medical product market to leverage its long clinical and translational medicine history responding to the expected aging of the population. MEDINET went public in October, 2003 on the MOTHERS, Tokyo Stock Exchange. For more information, visit http://www.medinet-inc.co.jp/english/. Important factors that could cause actual results to differ materially from those reflected in Histogenics’ forward-looking statements include, among others: the timing and success of Histogenics’ NeoCart Phase 3 clinical trial, including, without limitation, possible delays in generating the data from the clinical trial; the ability to obtain and maintain regulatory approval of NeoCart or any product candidates, and the labeling for any approved products; NeoCart’s regulation as a Regenerative Medical Product; the market size and potential patient population in Japan; the scope, progress, expansion, and costs of developing and commercializing Histogenics’ product candidates; the ability to obtain and maintain regulatory approval regarding the comparability of critical NeoCart raw materials following our technology transfer and manufacturing location transition; the size and growth of the potential markets for Histogenics’ product candidates and the ability to serve those markets; Histogenics’ expectations regarding its expenses and revenue; and other factors that are described in the “Risk Factors” and “Management’s Discussion and Analysis of Financial Condition and Results of Operations” sections of Histogenics’ Annual Report on Form 10-K for the year ended December 31, 2016 and Quarterly Report on Form 10-Q for the quarter ended September 30, 2017, which are on file with the Securities and Exchange Commission (SEC) and available on the SEC’s website at www.sec.gov. In addition to the risks described above and in Histogenics’ annual report on Form 10-K and quarterly reports on Form 10-Q, current reports on Form 8-K and other filings with the SEC, other unknown or unpredictable factors also could affect Histogenics’ results.